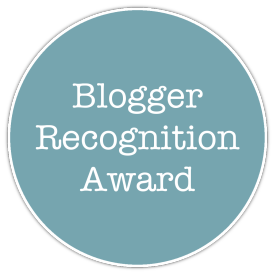 I would like to thank AYR GALAXY for nominating me for the Blogger Recognition Award. I always appreciated being acknowledge for my blogging. A few years ago I was in a college class for writing. During the course of that class, we discussed the fact that blogging is becoming increasingly important. Part of the class requirement was to create your own blog on any topic and write a few blog posts. After this experience, I was inspired to create my own blog. I was under the false impression that blogging required money or some professional writing experience. During that summer, I decided to finally give blogging a chance. I’ll admit the first few months I had only a few viewers. However, I started to gain more and the interaction was great. So far I’ve managed to increase my viewers for the two years I’ve been blogging. Hopefully, I will continue that trend for the foreseeable future. Blog about what you know. It’s easier to write about what you love. Try to be consistent. Blog on the same days if possible. Work on grammar. Your writing will become more effective. Follow other blogs you like. They may follow you in return. Try to engage on others blogs. Comment and Like. They might return the favor. Reblog. Don’t do it too much (This blog is about your opinion) but, occasionally reblog a post that interests you and might do the same for your readers.